The LG 360 camera is an interesting device with dual 180 degree cameras that provide a full 'sphere' photo. It retails for $199 but was shipped as a bonus for many early LG G5 adopters. I chanced upon one of these on Amazon at a reasonable price. This post will chronicle the ongoing difficulties I have had trying to get this device to work as LG designed. I ordered the camera on April 17th and received on April 19th. After charging the camera powered up, can take pictures via the shutter button and I can retrieve the photos via USB cable. The main issue is pressing the button requires me to be in each photo (with my arm extended towards the shutter button). I downloaded the LG 360 Camera software from the Google Play store and tried to connect to the camera- and nothing. I tried again with a Galaxy Tab S2; same results. I repeated my attempts with a LG V10, a Samsung Galaxy S6, a Samsung Galaxy S5, a Google Nexus 5 and an Amazon Kindle HD8 with the same results. I assumed the camera was broken and requested a return from Amazon. Not being one to give up on a gadget, I thought I would take it apart to see if it was fixable before returning; the tear-down video from iFixit discouraged me from attempting. 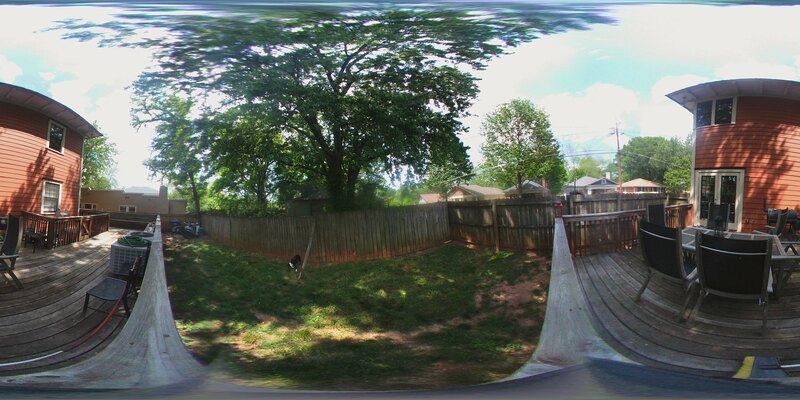 I did have the idea to try the camera with the iOS version of the 360 Camera application- and it worked! The connection to the camera is a little odd; in the iOS app, I tap the 'search' icon and it finds the camera via Bluetooth 4.0 LE. The app connects and the camera makes a chirp to indicate it has enabled WiFi. On the iPad, I connect to the LGR105xxx WiFi SSID of the camera and a the camera makes a different noise- indicating a device has connected via WiFi. Opening the application again reveals the camera connected and it can be remote controlled from the iPad. Going back to android, I discovered I could initiate this by attempting to manually connect to the camera via Bluetooth. This sounds the alert that WiFi is on and I can see the LGR105xxx SSID. I am unable to establish a WiFi connection to the SSID from any android phone. (It does sometimes make the second noise- and Android OS times out when connecting. With this information, I opened a ticket with LG support as I was sure there was an easy fix. After a few disappointing conversations with 'Abby', it was clear LG no longer cares about supporting this product. Some forum users have reported issues with USB controllers so I tried on a few different PCs (five) and a MacBook Pro; all have the same issue. The PC OSes vary between Window 7, Windows 8.1 and Windows 10. The camera was tested in different USB 2.0 and 3.0 ports on each PC with a variety of USB C cables; all exhibit the same issue. The LG drivers were also downgraded from v4.2 to v4.0.4. (LG Bridge will try to update this if it is run while connected to the Internet) with no change in results. The LG website also offers a PC Suite 'for older devices'- it also will not connect to the camera (Windows or MacOS version). 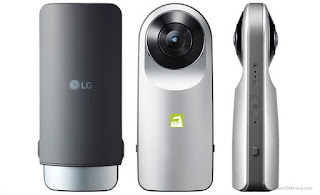 I am continuing to look for older drivers and firmware in the crazy idea I may find a way to update this camera and re-enable updates of the LG 360 Camera software in Google Play- but it is looking bleak. Holding down power + shutter for 4 seconds forces a wireless reset of the camera (Bluetooth & WiFi?). The camera will start beeping if I press power + shutter for 8+ seconds. Pressing the power button within 4 seconds will factory reset the device. Why the Hell is this so complicated LG? Did you hire the lowest wage 'agile' developers and neglect to create an outline of what was needed before they started work? Why does the LG 360 Camera that was launched with the LG G5 have so many software and hardware stipulations to make it work? -Incompatibilities between camera firmware/Android app/LG Bridge make the device frustrating to use. LG bridge requires most recent updates and their cloud program to be installed before the software will start (if connected to the Internet). -I wasted my time contacting LG support; Googling for LG 360 Camera Issues (ignoring the LG link) allowed be to connect my Android phone to my camera! This experience (plus a failed controller board in an LG LCD TV) has left me with a bitter taste for LG products. At one time (many years ago,) LG was one of my favorite brands. Going forward, I think I will be better off considering devices from Samsung, Sony and other reputable vendors before rolling the dice with a future LG purchases.